Brighton and Hove Albion striker Sam Baldock has left the club and joined last season’s Championship strugglers Reading. Baldock was Sami Hyypia’s first major signing back in 2014. Current Albion manager Chris Hughton said: “Sam has been a pleasure to work with during my time here and he played a key role in our journey to the Premier League. “His attitude and professionalism have been excellent, especially after not having as much game time as he would have liked last season. 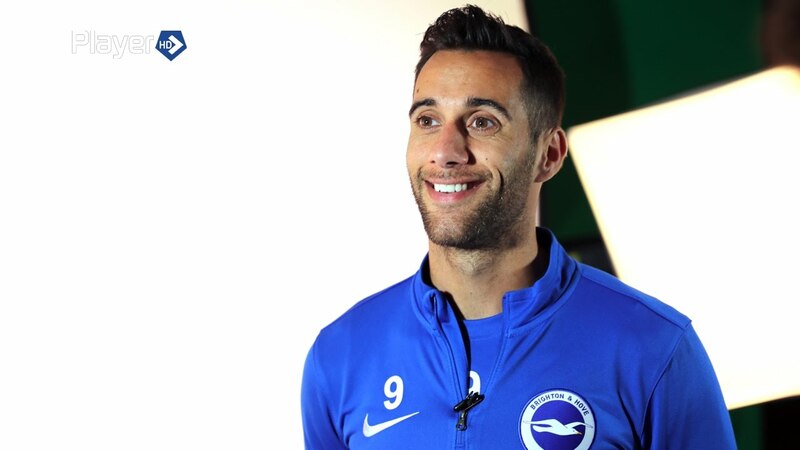 Baldock made a total of 27 appearances during his first season at the club, scoring his first Albion goal in a 3-2 defeat to AFC Bournemouth. He also found the net in an FA Cup fourth round tie against Arsenal, where the Seagulls were beaten by the same scoreline at the Amex. The striker’s most fruitful spell in front of goal came during the unforgettable 2016-17 promotion-winning campaign when he scored a total of 12 goals in all competitions, the last of which came in a 3-0 win over Derby County in March 2017. Seagulls legend Bobby Zamora has rejoined the Albion as a club ambassador. Zamora first joined the Albion on loan in January 2000 returning to the club permanently in August 2000 for a £100,000 fee. A sensational return in August 2015 saw the record-breaking striker finally get to play at the Amex. Zamora joins for a fourth time and teams up with Alan Mullery in the ambassador role.